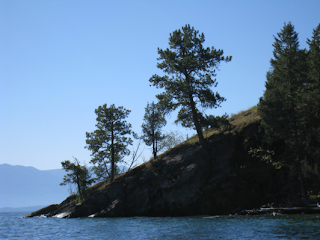 I have upgraded GIMP to version 2.6.10. 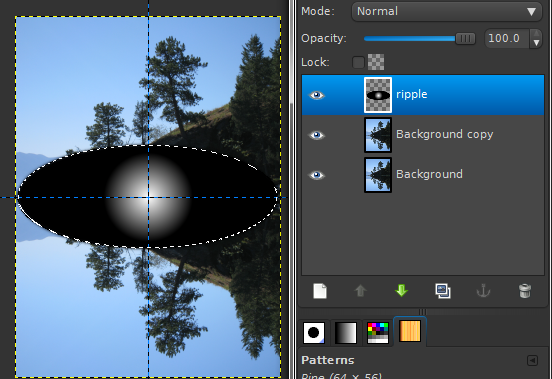 Create a new transparent layer named "Ripple". 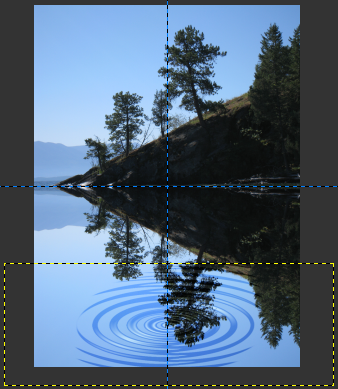 Using the Ellipse select tool, with the Feathered Edge set at 10, create an ellipse in the center of the layer. Fill the ellipse with black. Turn off the selection (Select -None). 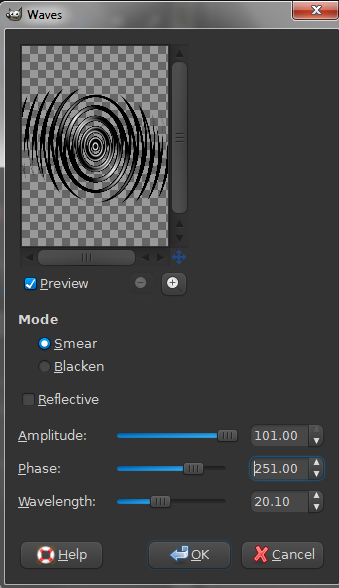 If you're wondering why fill the ellipse with black and use a white to black gradient in the center, its due to how the wave filter splits the two colors into ripples. You want the outside ripple lines to be black to give them more definition when using the displace map. Change the mode of the Ripple layer to Overlay. 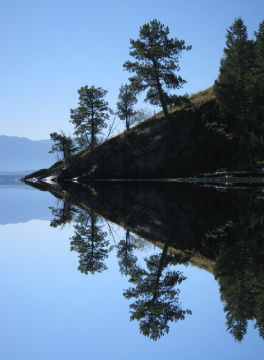 Using the Rotate tool, I rotated the ripple 90°. 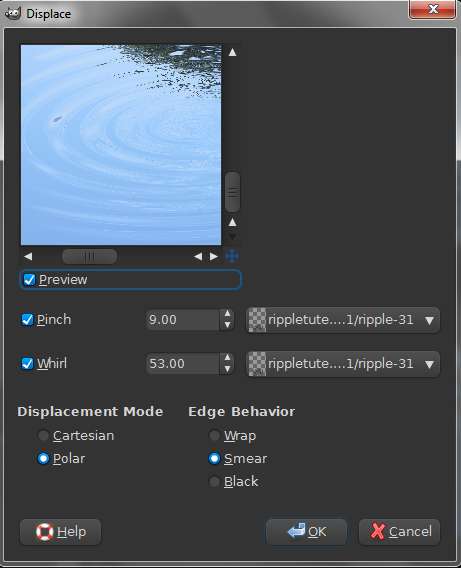 TIP: If you want your water ripples to be more of a completed circle, duplicate the layer and then flip the duplicate layer horizontally and change its mode to Multiply. Right click the duplicate layer and "Merge Down". You may want to make adjustments to your pinch and whirl settings to suit your own ripple. Turn OFF (click the ) the Ripple layer to see the final effect. 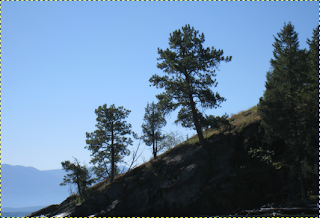 Edit - Paste Image As - New Layer. 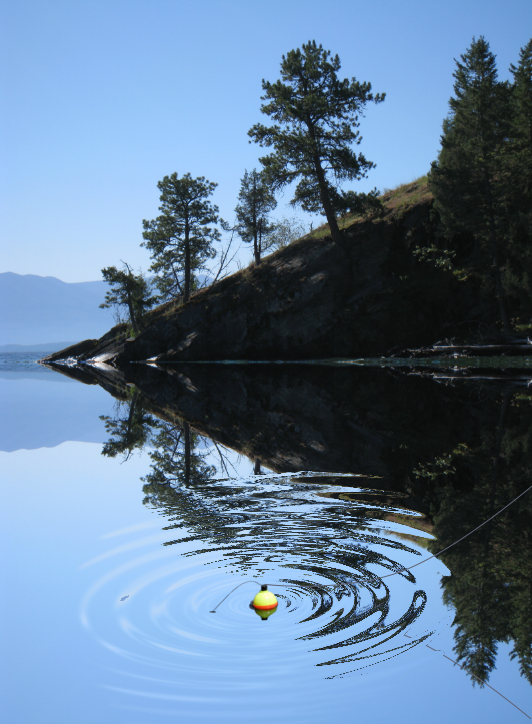 Adjust the bobber by scaling it to fit the ripple. Add a new transparent layer, name it "Fishing line top". I used the Path tool to make the filament (fishing line) using 1 px, using a bluish gray color (5e6274). 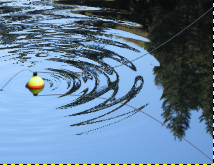 Right click the fishing line flipped layer, select Layer to Image Size. Filters - Map - Displace. That's it, you're done! :) Thank you for stopping by. Thats a very nice tutorial! Wonderfully simple, but a really powerful effect. Thanks for sharing that! No idea why the mirror script is showing "bad syntax". You could join gimpchat.com and ask Saulgoode.